SFE Global > News > News > September 2013 – I&I Got You Down and Your Treatment Volume Up?? 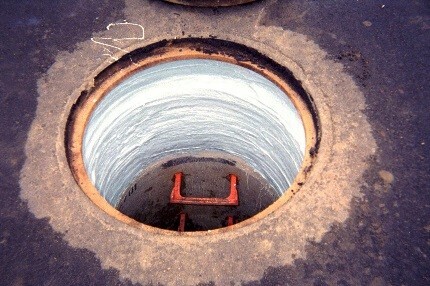 Repairing leaks in manholes is one of the most cost effective investments to reduce I&I. 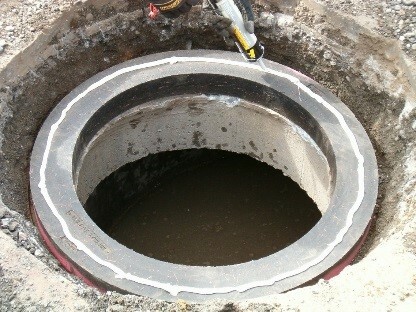 SFE crews can stop active leaks with polymer injection and resurface manhhole walls to prevent future leakage. Combine this with sewer flow monitoring, CCTV surveys, smoke testing, and manhole inspection programs and you have an effective I&I abatement program! SFE Global is your one-stop-shop for all these services. 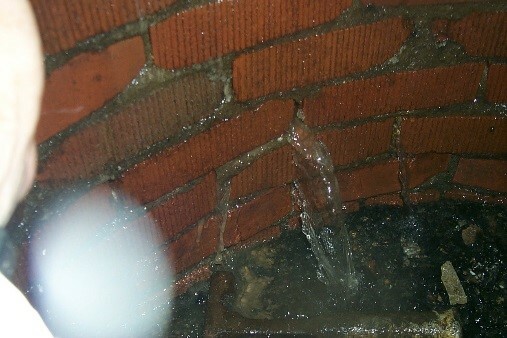 Those bumps around all your manholes are not the manholes moving but the chimneys leaking fill into the sewer! Repairs like those at right reduce your wastewater treatment volumes and greatly reduce road repairs. 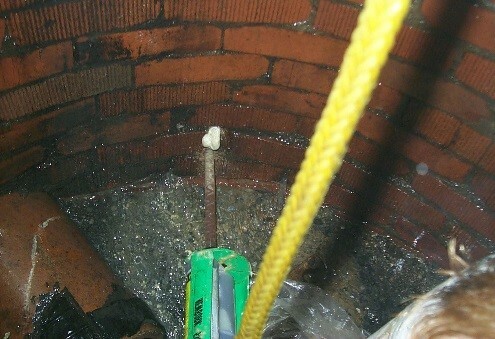 Manhole inspections and rehabilitation are highly scalable and can fit within any budget. Generally, operations staff know at least a handful of leaking manholes off the top of their head and this is a great place to start. From there, a manhole inspection program will give engineering and operations staff a prioritized list of manholes to work from. 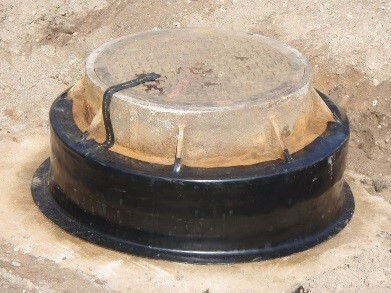 Whether you rehab five manholes or hundreds of them, rehabilitation can be geared toward available budgets. 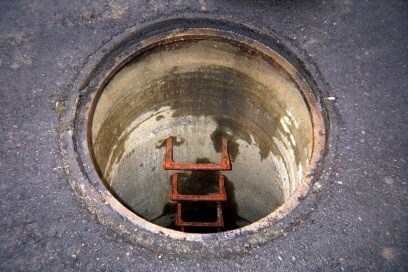 It should also be noted that you don’t need to wait until your manholes/chambers fail – measures can be taken from the time of installation to ensure long life cycles. 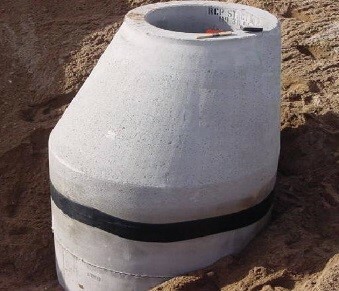 Below are just a few examples of products available from SFE that can be utilized during construction.